KS35 was successfully added to your cart! KS35 could not be added as a favorite. Please make sure you are logged in. 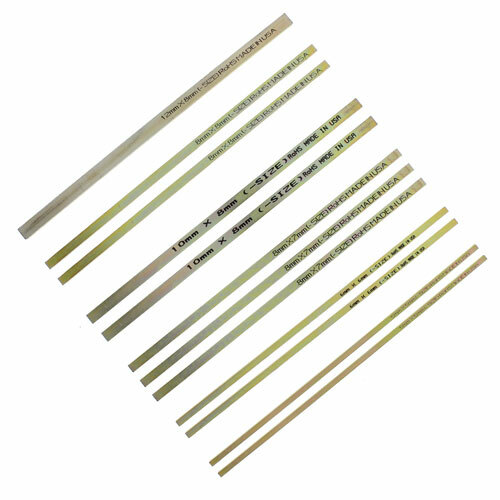 Keystock assortment, 37 pc. set. 12" bars are zinc plated for long shelf and machine life. Sturdy steel storage rack can be set on work bench or wall mounted. 2 pc. 1/4" x 3/16"
2 pc. 5/16" x 1/4"
2 pc. 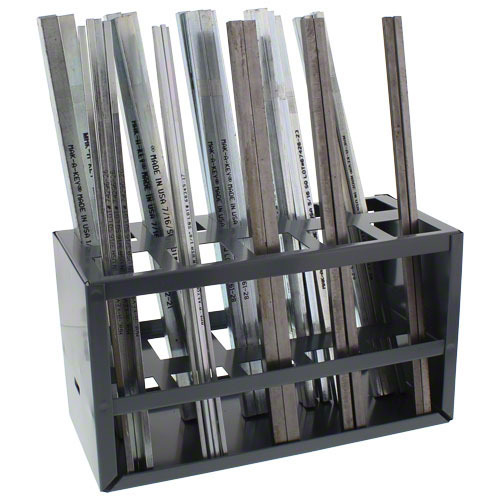 3/8" x 5/16"
Metric keystock assortment, 12 pc. set.